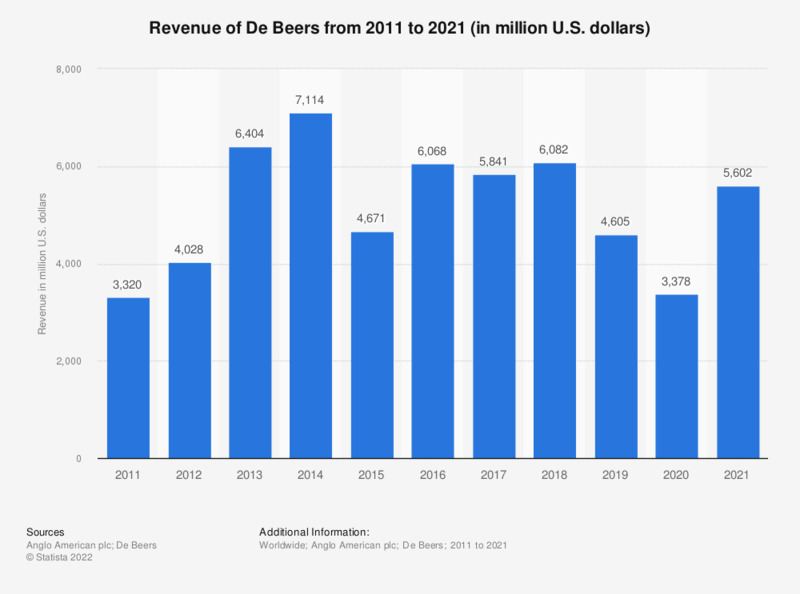 This statistic shows the revenue of diamond mining company De Beers from 2011 to 2018. In 2018, De Beers had a revenue of some 6.1 billion U.S. dollars. In August 2012, mining company Anglo American acquired an 85 percent ownership of De Beers. De Beers has been 85 percent owned by Anglo American since August 2012. This statistic was assembled using several editions of Anglo American's annual reports.